Here at Sundance we have one motto: I would rather be flying, and because of our love for Aviation, we want to others to share our same enthusiasm. Sundance Aviation opened their doors to business in 2007 in Richland (KRLD), Washington and are owned and operated by Clif and Suzanne Dyer. 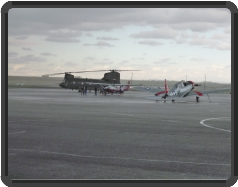 Together, with their immense experience in the aviation world, they offer a Full Service Fixed Base Operation (FBO). 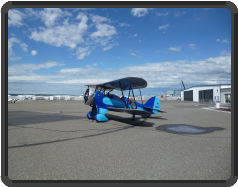 We offer our clientele a friendly and inviting atmosphere that is geared to those who are interested in flying, are learning to fly, and those who are already airborne. Our mission is to support all current and future customer needs at the Richland Airport by providing quality services in a timely manner. Whether on the ground or in the air we offer fair pricing and communication. We strive to be safety conscious, keeping our customers, employees and the public safe. We expect and demand that our employees be trustworthy, courteous with the up most integrity. We look to the future of aviation and support its growth by passing down our knowledge, experiences and love of aviation. 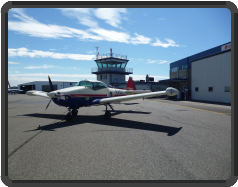 We strive to be a respected and friendly FBO that exceeds our customer expectations. If you find yourself becoming one of our frequent fliers, you may want to invest in becoming a Sundance Aviation Member. With Club rates you receive a discounted price that saves you money. If you direct yourself to our Aircraft Rental and Instruction Rates you will see the difference and savings that could be yours. There is a onetime $95 joining fee, time thereafter members pay by the month or for even more savings, by the year. For a quick view of what Sundance has to offer, please take a look at the following brochure.